India's domestic gas supply is expected to post 16% CAGR over FY10-14, The emergence of shale gas in the US has rendered large LNG investments underutilized. India's gas deficit and LNG availability at reasonable prices will help Petronet to post volumes of 12% CAGR to 12.5mmtpa (50mmscmd) by FY14. Petronet has been increasing re-gasification charges by 5% every year to ensure 16% RoE considering only long-term contracts. We expect Petronet to achieve 25% RoE by FY12 led by (1) a 5% annual increase in re-gasification charges, (2) low gas prices, which will cut operating costs, and (3) high margins on short-term contracts. Petronet has been increasing re-gasification charges by 5% every year, but we model the rise only until FY13 for Dahej and then assume no decline. Near term positives are the continued flat KGD6 gas production and implementation of proposed gas price pooling. For Kochi we model Rs.70/mmbtu for FY13 and FY14 and Rs.50/mmbtu from FY15. We build gas sales volumes of 8.5/10/12/12.5mmtpa by FY13. 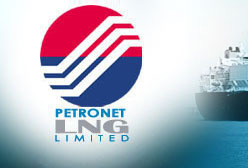 We value Petronet LNG on DCF to arrive at a price target of Rs.140. The stock trades at 12.4x FY12E EPS of Rs.9.4. We initiate coverage with a Buy recommendation.